The plaque commemorates those from the church who served in World War Two. 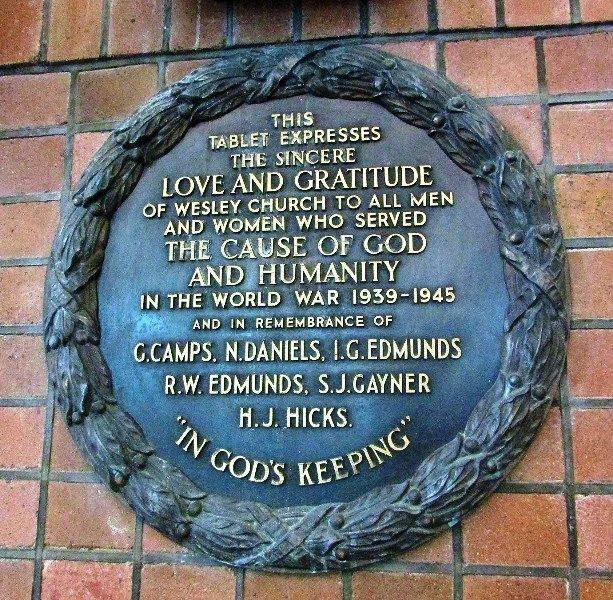 The Wesley Church, Hamilton, will unveil a Plaque of Remembrance dedicated to all from the church who served in the war and a Light of Remembrance dedicated to six men who lost their lives. The ceremony will take place at 1 p.m. on Sunday, November 10.